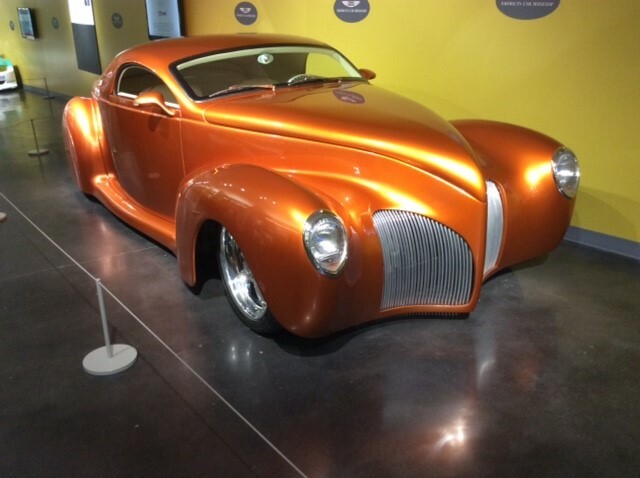 Tacoma, Wash. – Celebrating its fifth anniversary in June, The LeMay- America’s Car Museum continues to be a major draw for car enthusiasts visiting the greater Seattle-Tacoma area. 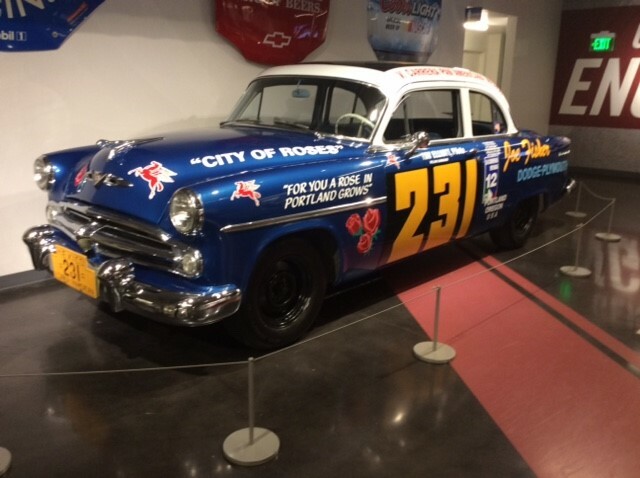 Officially opened in June 2012, the museum was planned and built around the core collection of Tacoma resident Harold LeMay who had amassed a collection of over 3,500 vehicles. Fund raising for the museum commenced in 1997, kicked off by Harold and his wife Nancy and it was spurred on by the gift of nine acres of land by the City of Tacoma in 2002. After the fund raising efforts were completed for the museum with donations across a wide swath of government, corporate and individual givers, ground breaking took place in 2010. 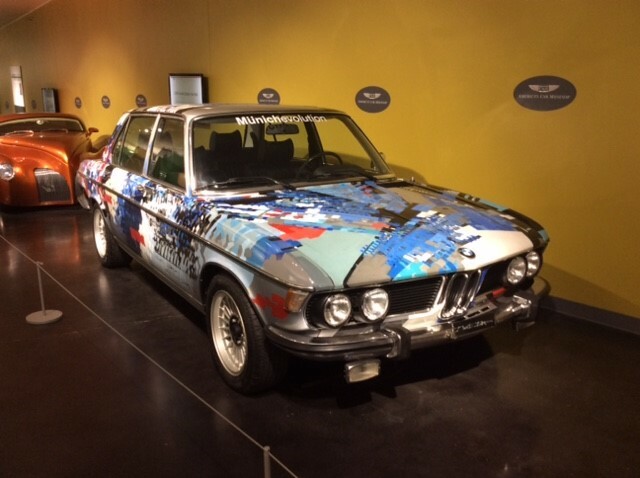 The museum is a spectacular, ultramodern multi-use facility in downtown Tacoma that appeals to automobile lovers from all over America and across the world. The $60,000,000 nine acre campus features a 165,000 square foot main building with extensive exhibit galleries, a meeting hall, banquet facilities, an educational center, a library, ample free parking, and a 3.5 acre show field to host car events. 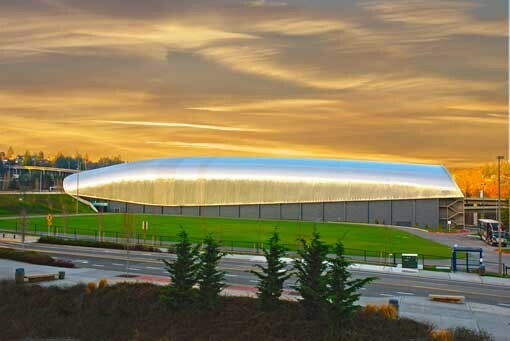 The campus is adjacent to the Tacoma Dome and it has a panoramic view of downtown Tacoma. 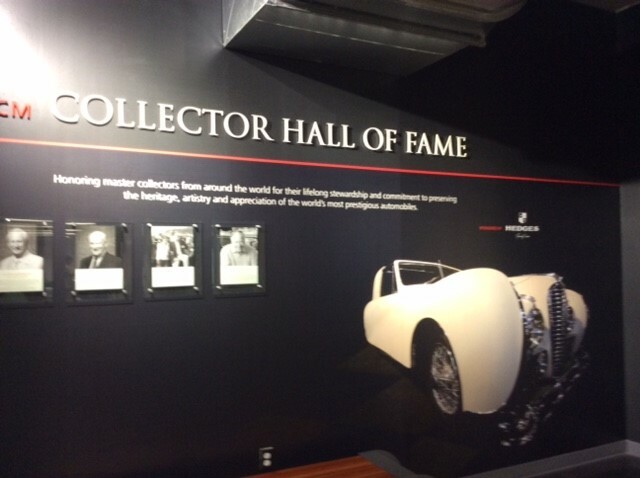 Museum CEO David Madeira said that from the beginning of planning for the museum, the goal was for it to become a national museum designed to “preserve history and to celebrate the world’s automotive culture”. 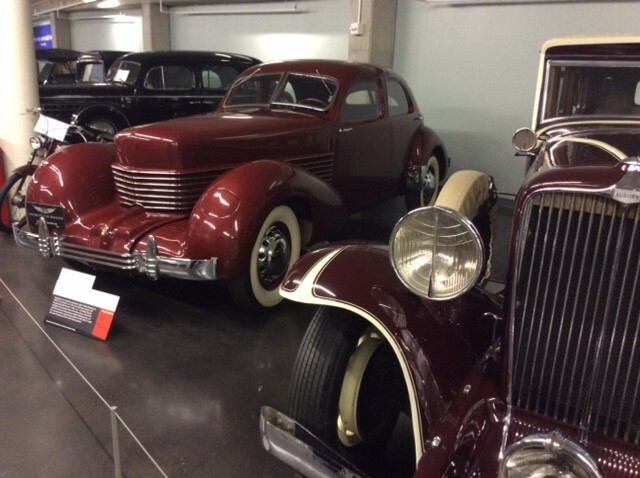 He said that if the museum had been built only to display the LeMay car collection, it would have had no real national appeal. 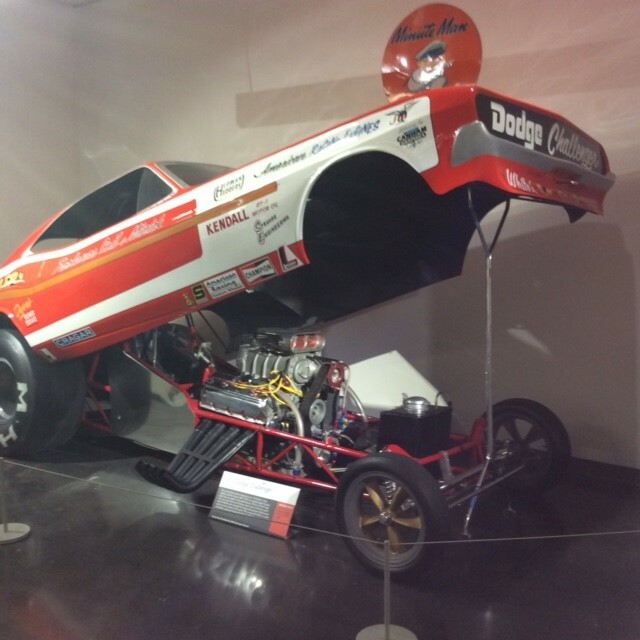 The museum was designed to be a place that engages with the national car community and where people come to see the exhibits, car shows, drive in movies, and other events. This philosophy is clearly in evidence as you walk around and see cars that have been lent to the museum from various collections. A first impression of the building was that it looked like a gigantic chrome hood scoop from a vintage muscle car. It has a distinctive architectural style that adds to Tacoma’s nice mixture of new and historic structures downtown. When the visitor walks inside, one is greeted by the entrance lobby with a massive, majestic black and white graphic. As one enters the top exhibit hall of the museum, the long shape of the hall is very impressive with its tall, lightly colored wood walls and the dramatic glass panorama at the end of the floor. 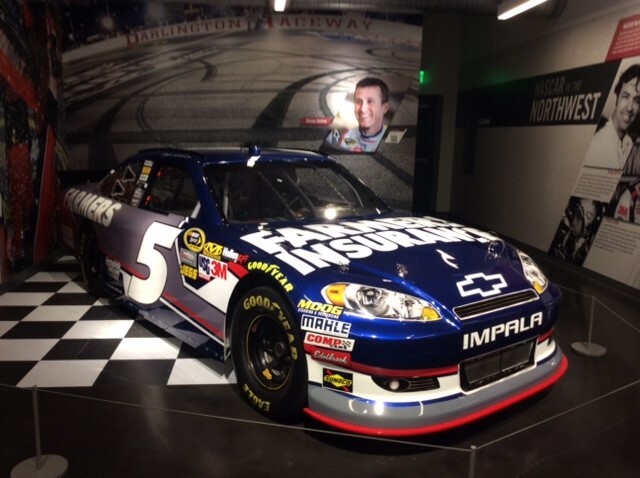 The museum has four main floors for car exhibits and it can display up to 350 vehicles. Each football field length floor features two gallery space ramps leading to the next lower floor. 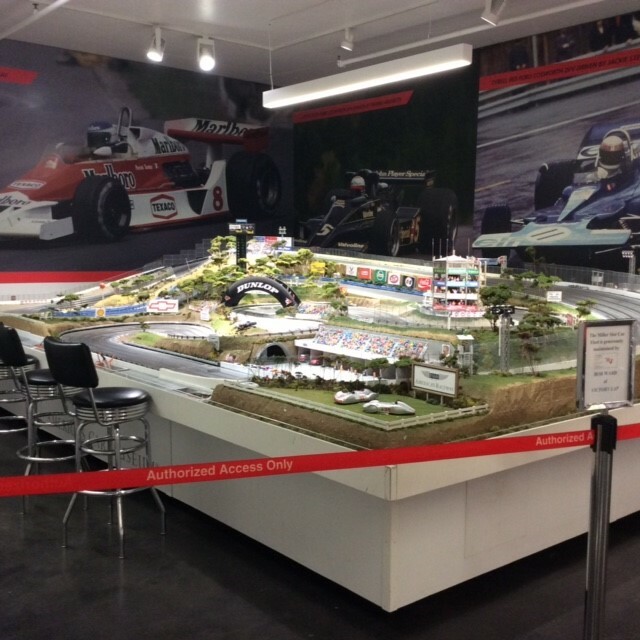 The gallery ramps are ideal places to present the cars as the visitor walks from floor to floor. The museum is really huge. 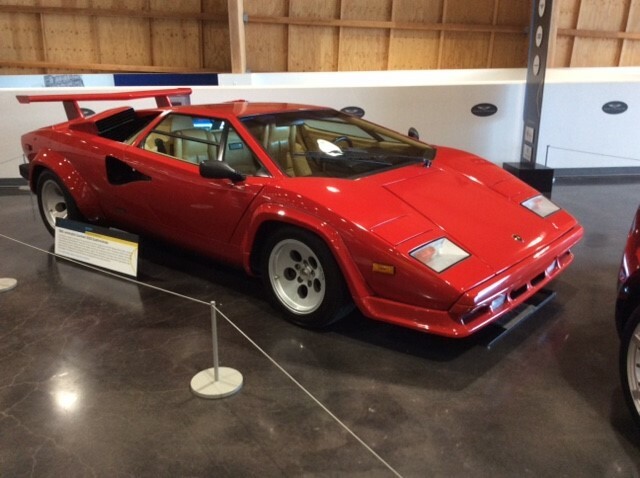 It had eight exhibits on display in addition to select cars from the permanent LeMay collection. You can really spend a lot of time in this museum to see everything on display. 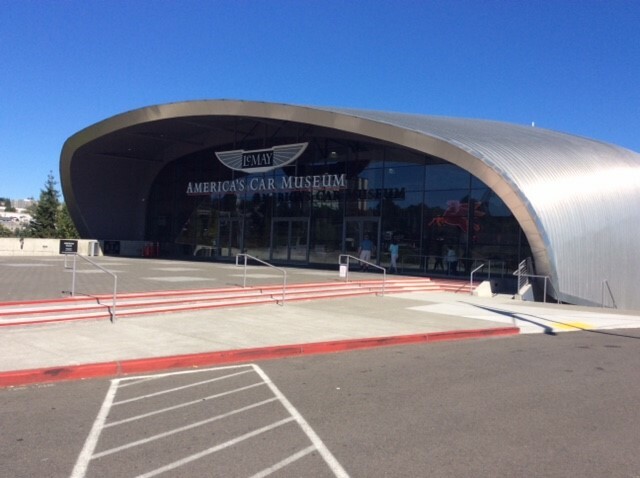 A suggestion for a first time visitor is to make sure you see all of the exhibits and then peruse some of the LeMay collection. It would be impossible to see every car on a first visit. Walking around the massive building is eased by the exhibits to be viewed on the ramps between floors. 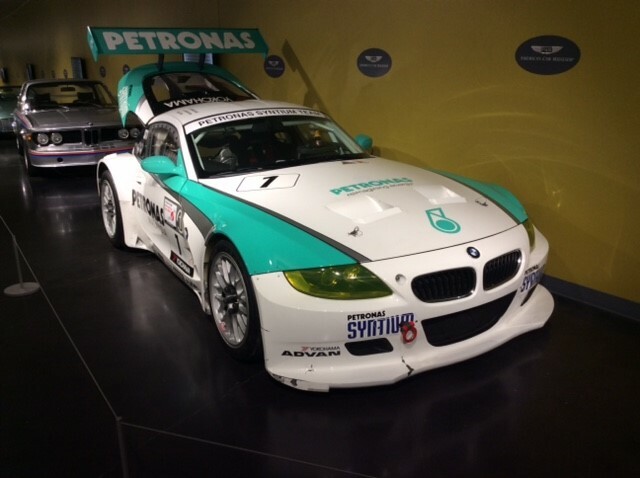 There are a number of changing exhibits which rotate in and out of the museum, currently Exotics @ ACM: Seductive Super Cars, Classics & Custom Coachworks and Legends of Motorsports: The NASCAR Story. More or less permanent is Lucky’s Garage which is a tribute to Founder LeMay’s collection. And changing annually is the Master Collectors Exhibit which honors one major Seattle area collector each year. 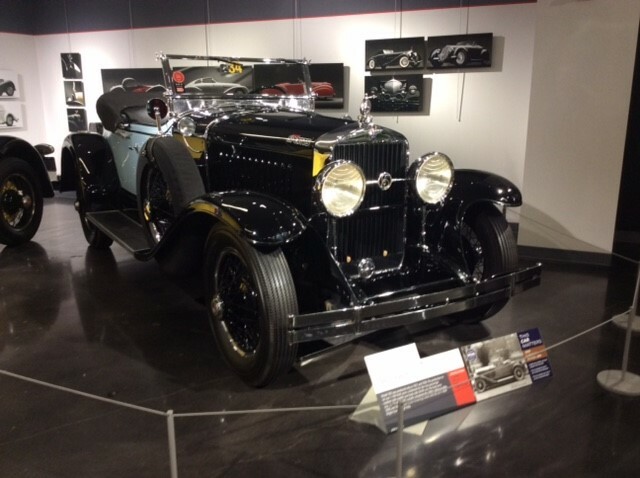 This year it honors Seattle businessman Peter Gleeson, with a dozen cars from his collection on display. The display of cars from the permanent LeMay collection is a lot of fun to see. 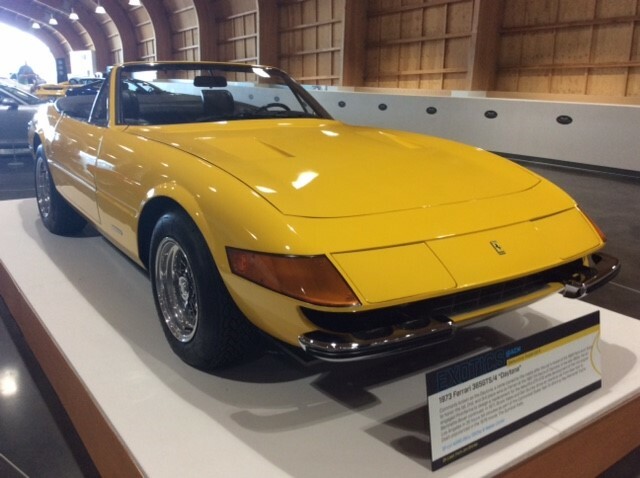 CEO David Madeira emphasized that the museum wants to display cars that visitors can relate to such as muscle cars and the great cars from the fifties. 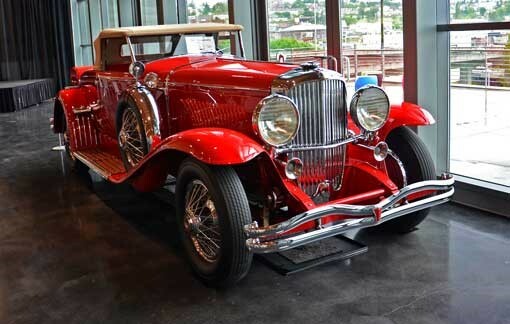 On the other hand, the Museum presents many spectacular automotive classics that are masterpieces of automotive design such as a 1930 Duesenberg convertible with coachwork by Murphy & Co. of Pasadena CA. 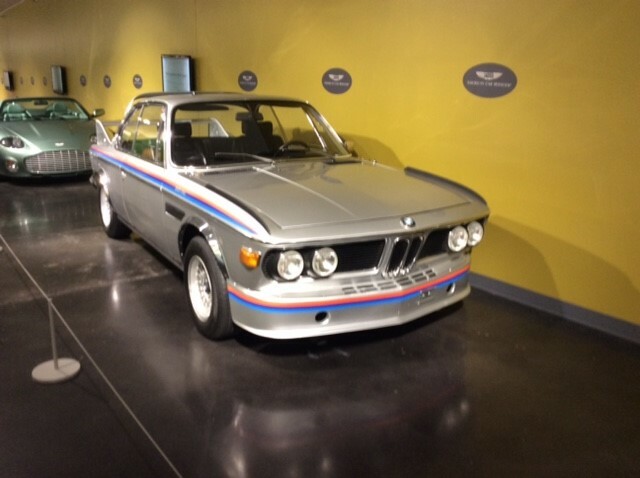 When you see who is lending cars to the museum, you realize that the Museum will continue to exhibit cars from important collections from around the world. 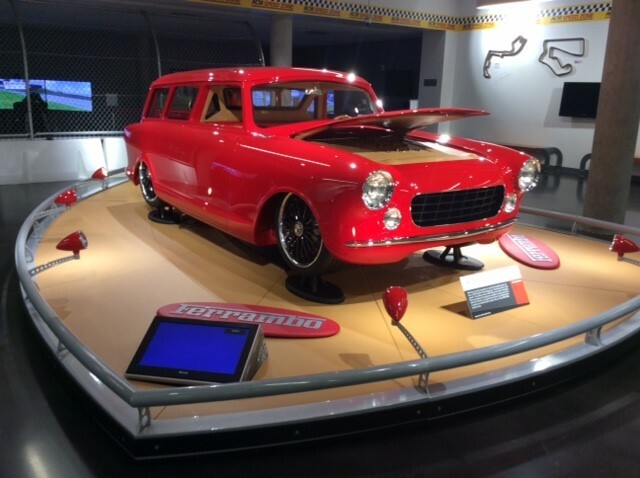 CEO Madeira emphasized the importance of their exhibits representing cars from individuals and museum collections in order to become a museum that will attract car enthusiasts from all over the country. This is a must see destination for anyone that loves cars. 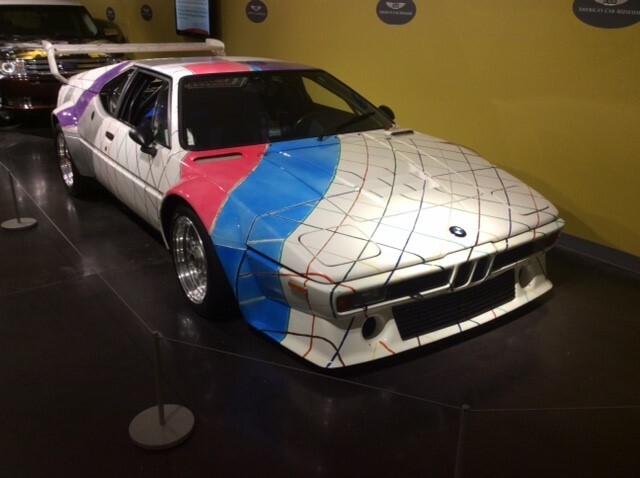 One comment by a press commentator was that this museum is to cars what the Metropolitan Museum in New York is to the world of fine art in that both museums are filled with both old and new masterpieces. Although this museum is a long way from the East coast, it would make sense to try to visit the facility more than once. 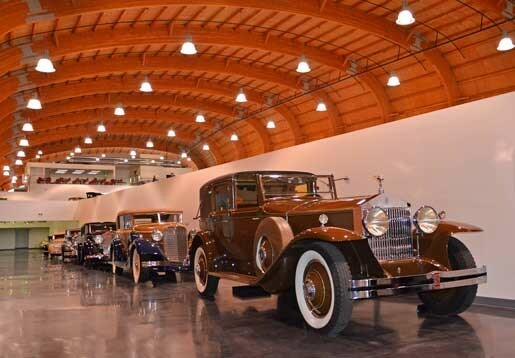 On the first visit, the spectator can simply enjoy the building and saunter among the featured exhibits to see the magnificent vehicles on display. 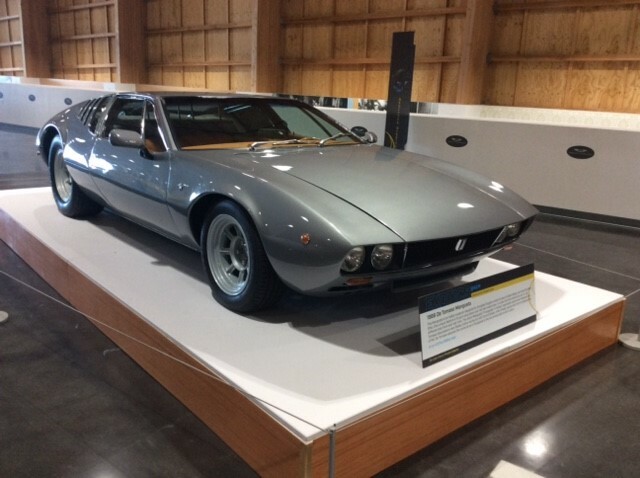 If you stop to admire all of the vehicles on display from the LeMay collection, your eyes may gloss over. It is best to take this museum in several smaller bites rather than try to absorb it all in one viewing.